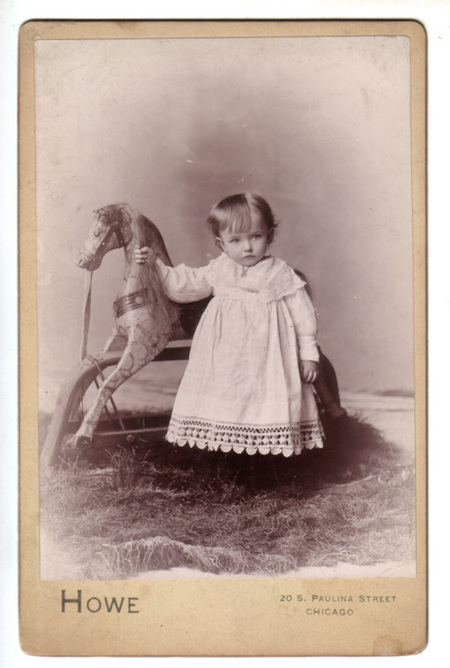 Comments: James Ashfield Wilson (Nee: ) | Chicago IL United States | 1851-1900 | Comments: Message in ink on back of photo: "Dear Aunty this is James Ashfield Wilson Pho(to?) with love from your loving niece Maggie. This photo was sent to friends or relatives in Ontario, Canada, and found among their possessions. It may have been sent to the Hughes family of Toronto, Ontario. The photographer was Howe, 20 S. Paulina St., Chicago, Illinois.